Wake up early and surprise your loved ones with homemade waffles. If you are an occasional baker, you have the ingredients in the pantry. And who doesn't have a brown spotted banana laying in the fruit bowl that has been passed over for the prettier yellow ones. My house most always has one or two. If you don't own a waffle maker, I encourage you to look at a second-hand store or watch for a sale to buy one. Waffle batter is easy to make and the outcome is so much better than the toaster frozen variety you can buy as readymade. 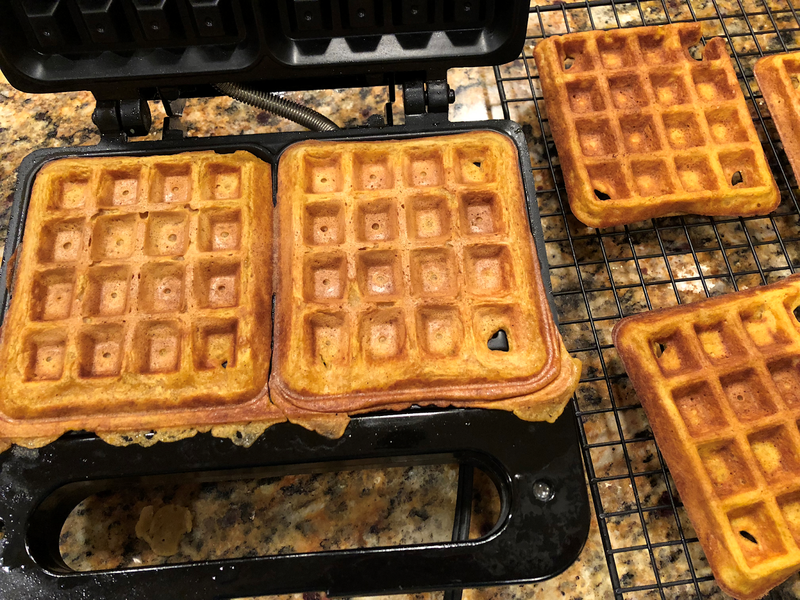 In the Fall and Winter, I use this same recipe to make pumpkin waffles. Just switch out the quarter cup of mashed bananas with a quarter cup of canned pumpkin puree. Delicious. You can be creative with the recipe too. Try switching up the spices using cardamom, cloves or nutmeg. And the milk can be anything from whole, skim, buttermilk, almond milk or even coconut milk. Have fun. There are a lot of weekends ahead of you calling out for waffles. In a large mixing bowl, whisk together the flour, sugar, baking powder, baking soda, spices and salt. In a medium mixing bowl, whisk together the eggs, milk, melted butter, yogurt and bananas until smooth and well combined. Add the wet ingredients to the dry ingredients, stir until just combined. Allow the mixed ingredients to sit at room temperature for 5-10 minutes. Preheat a waffle iron and lightly brush the grates with butter. 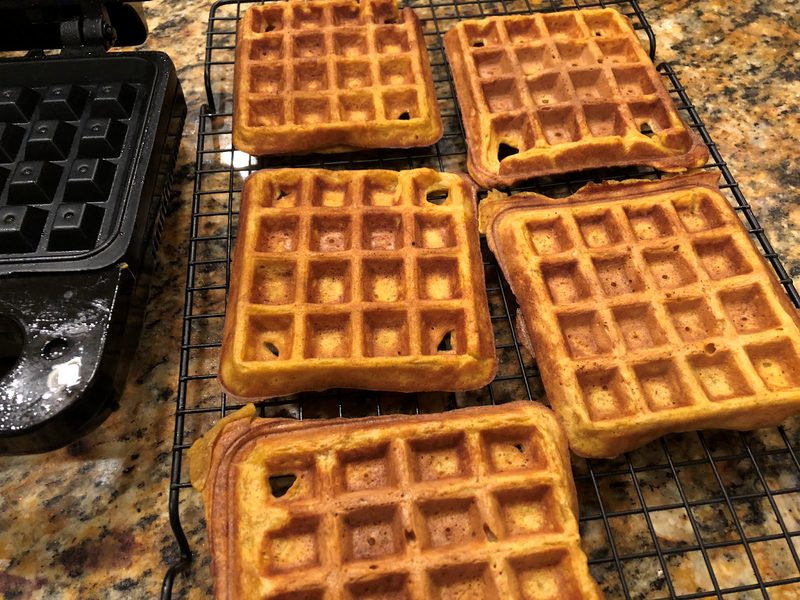 Fill the waffle grates and cook according to the manufacturer's instructions until the waffles are crisp and golden. Repeat with the remaining batter. 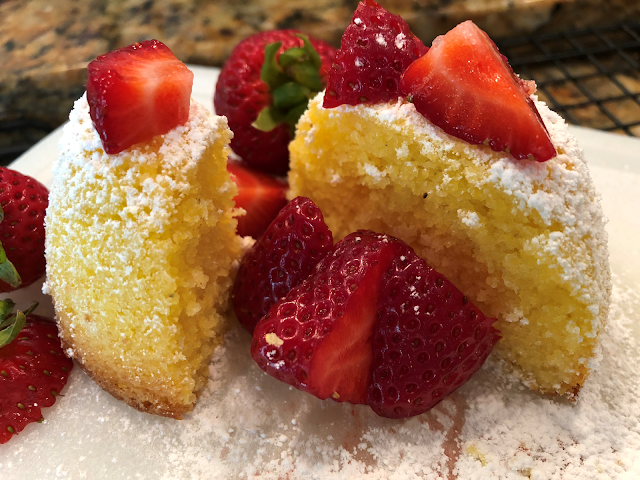 Serve with melted butter and syrup, topping with fresh fruit if desired.